Calendula oil is processed from the petals of the marigold plant by steam distillation. The Calendula plant is common throughout North America and Europe. It has been used for cosmetic, culinary and medicinal purposes since the 14th century and is common in a lot of gardens. Calendula oil is sticky and viscous with a musky smell similar to the flowers its derived from. Calendula flower oil can be used on the scalp to control inflammation, in creams and gels, tea, baths and much more. The number 1 quality of Calendula oil is its anti-inflammatory properties, which can help soothe itchy and inflamed skin while the antifungal properties in the oil can help with eczema, psoriasis, dermatitis, etc. Calendula oil can help speed the healing process for cuts, burns, rashes, and bruises while also protecting the wounds from infection. Calendula oil is a great moisturizer for skin and you can use it as an ingredient in your DIY body butter. Helps hydrate dry and chapped skin. 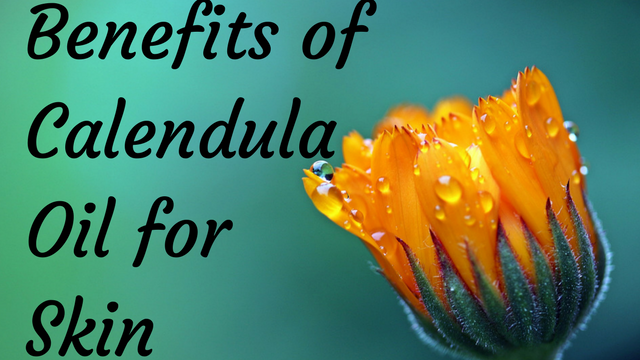 Calendula oil is excellent for use on babies as a diaper cream. 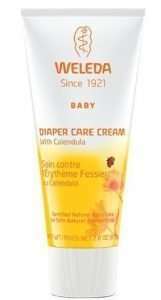 There are several popular baby products with Calendula oil such as Weleda Comforting Baby Oil and Weleda Diaper Care Cream. Calendula flowers are used to prepare an herbal tea which provides relief from menstrual cramps. 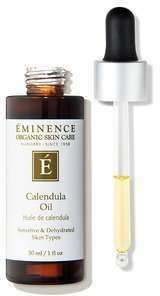 The Calendula plant contains iodine, carotene, and manganese, compounds which help promote skin cell regeneration. Drinking the tea may also help alleviate symptoms of acne. Calendula flower oil contains a high amount of carotenoids (vitamin A compounds), which are converted to retinol and acts as a powerful antioxidant. 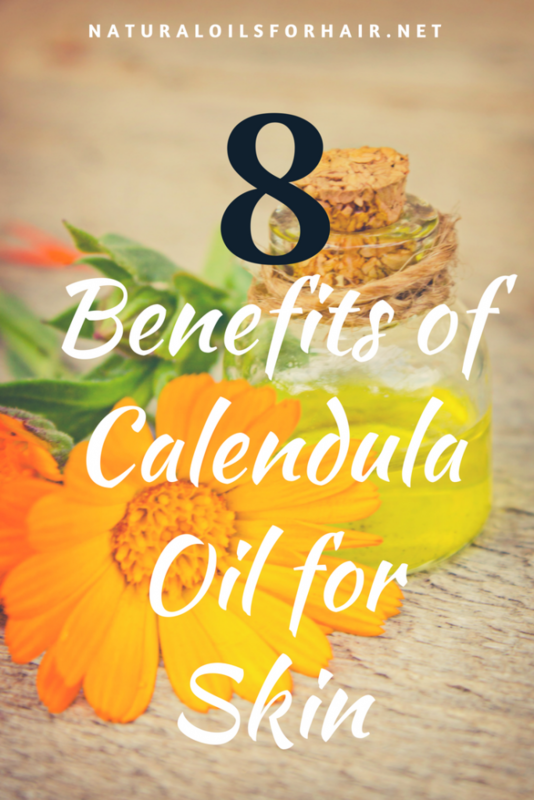 You can make Calendula oil at home with 2 simple methods, which I’ve outlined in How to Make Your Own Calendula Oil – 2 Methods. 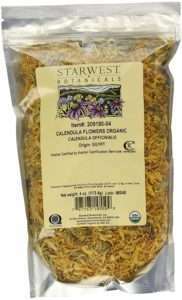 You can grow Calendula flowers at home or buy dried Calendula flowers to make the oil.